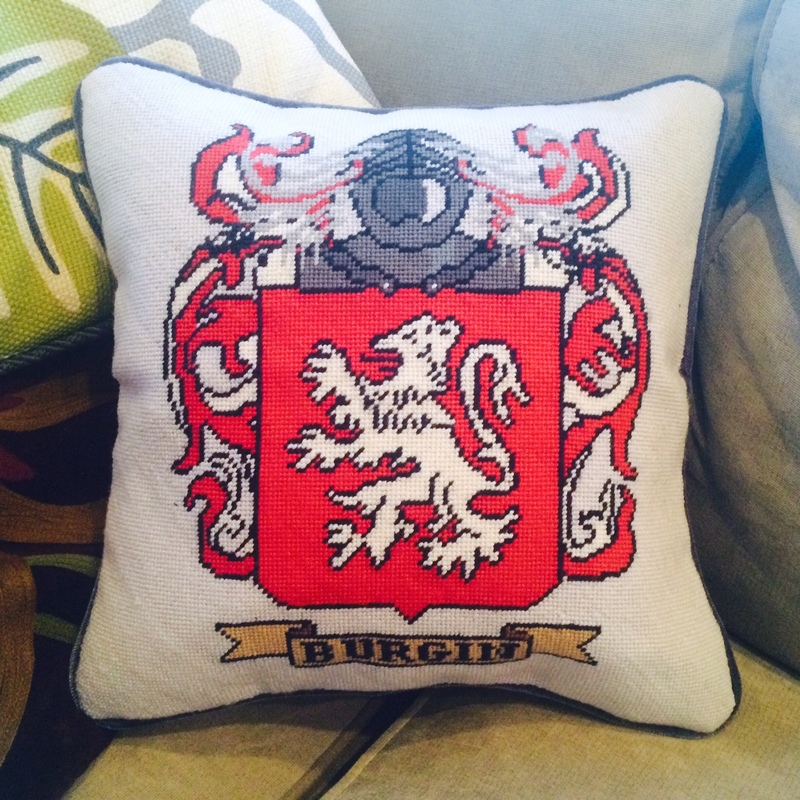 Needlepoint Photo Pillows Look Amazing Stitched! Happy Friday! We have a real treat for you today. 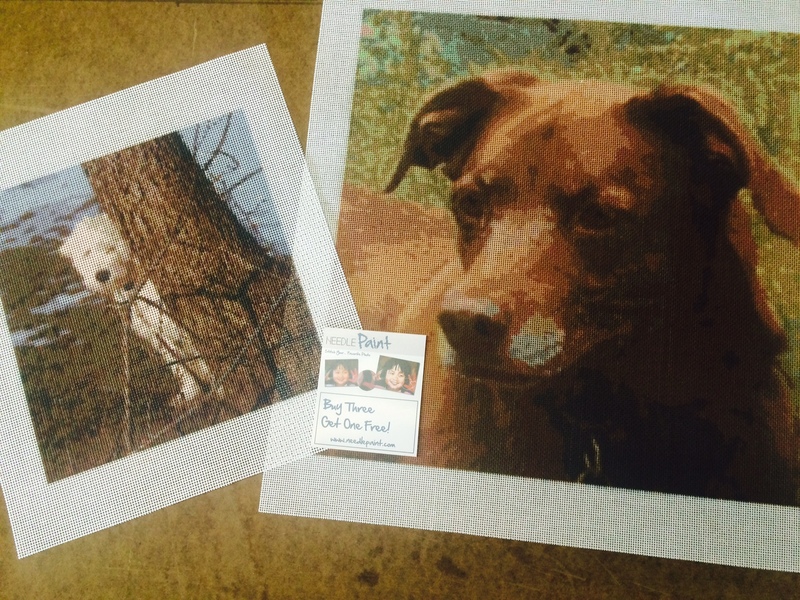 First are a pillow and a needlepoint portrait stitched on a photo needlepoint canvas by Jennifer in Ohio. 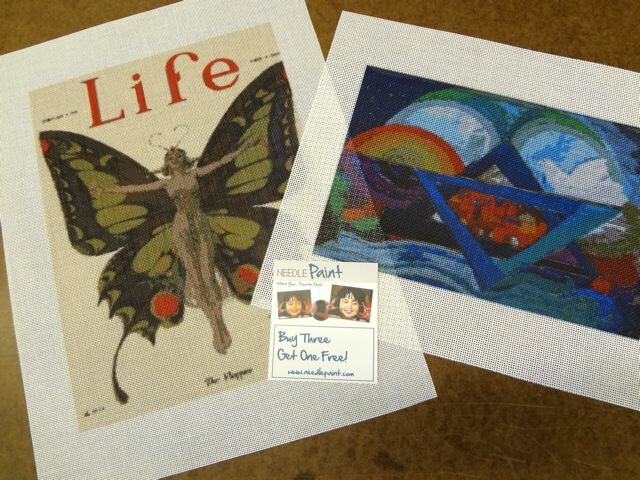 These are both done on NeedlePaint canvases designed using our website. Unfortunatly we can’t take much credit as Jennifer really is the one who made this happen. Amazing work Jennifer! 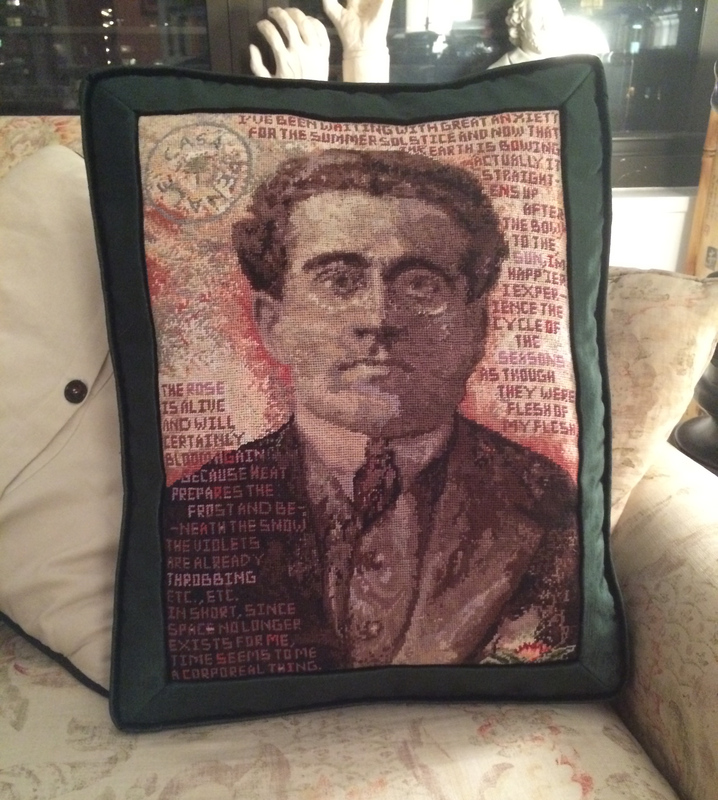 Next is a photo pillow from Tony in NY, of Antonio Gramsci. 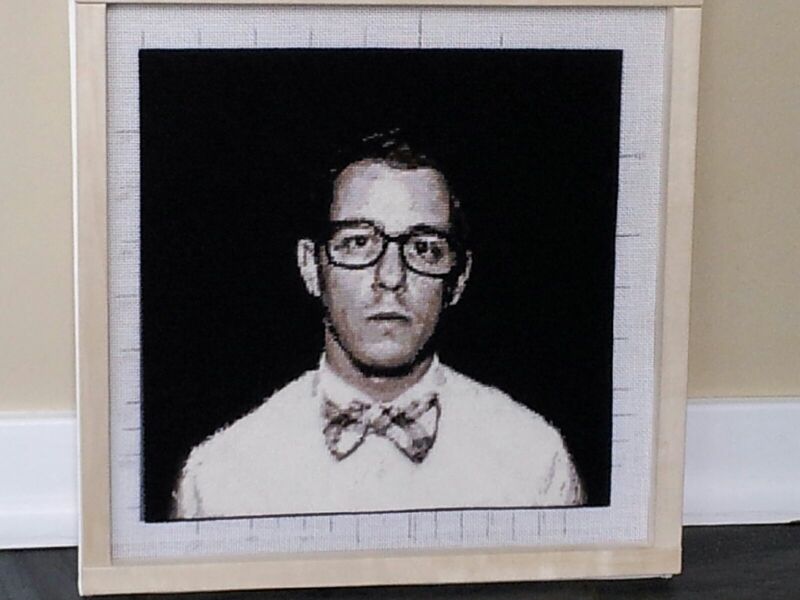 He added a LOT of details to the needlepoint canvas from NeedlePaint. 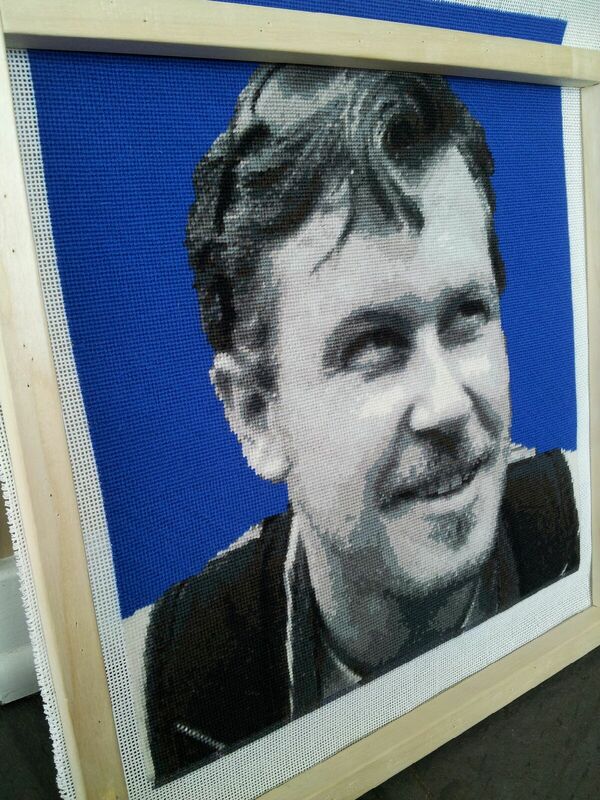 And to quote, it “It took &**%&* forever! But it was fun”. Great work Tony! 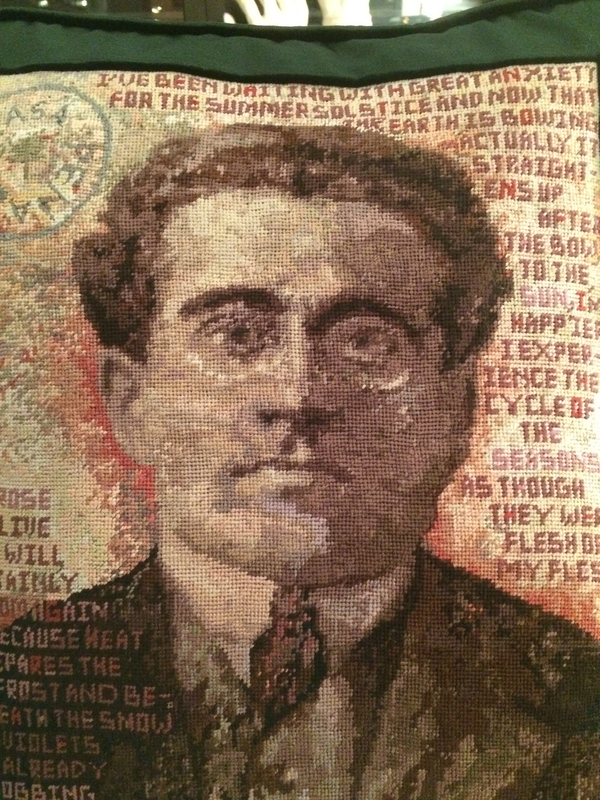 A note about all three of the designs: the images used were up close portriats with good detail. 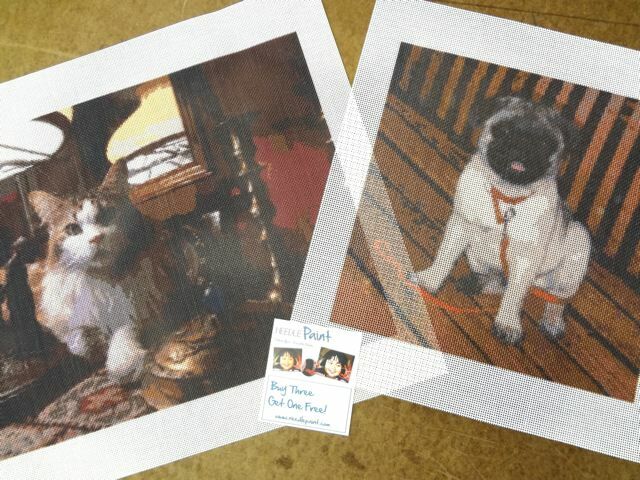 If you want help cropping your photo, please email it to us, we’d be happy to help! 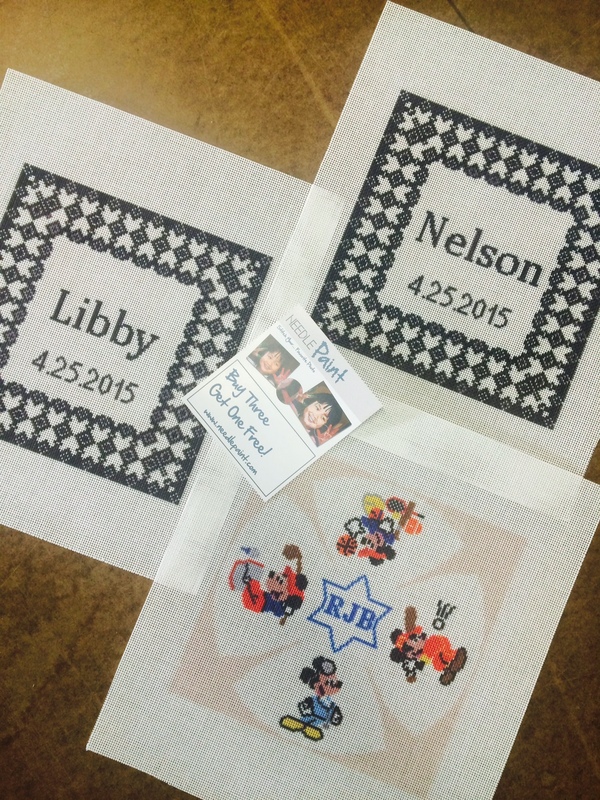 And now are some of our favorite custom needlepoint canvases we made last week. 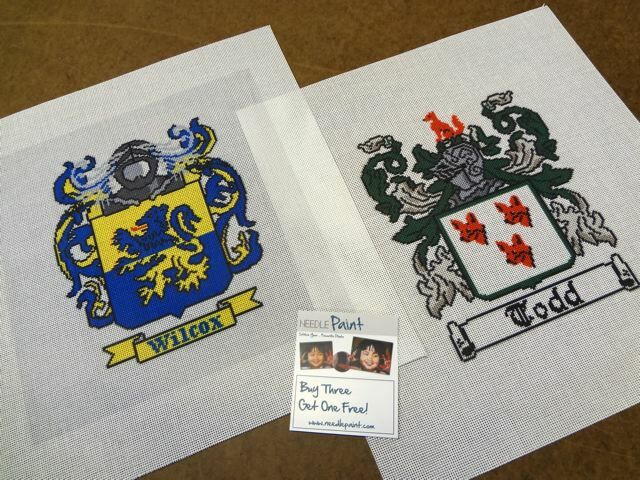 Check out these two custom needlepoint family crests! 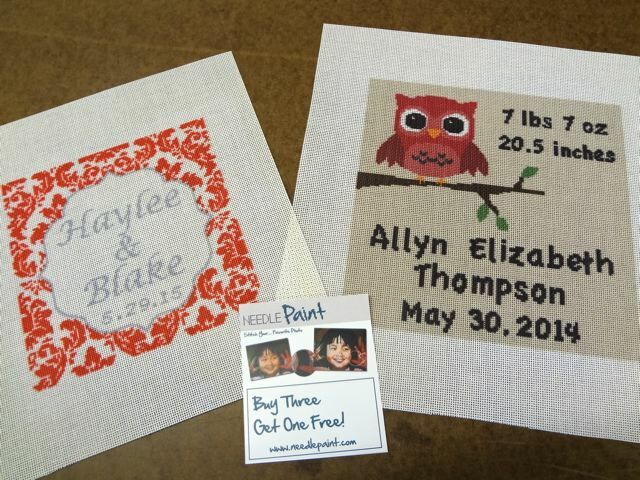 Below is a modified black damask wedding canvas and an girls evergreen baby needlepoint canvas. 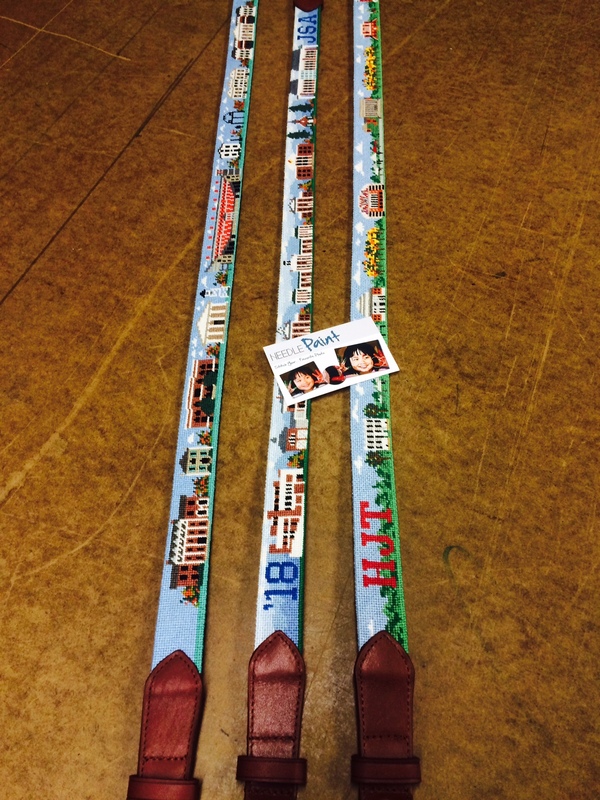 And check out the new shark belt design, that will be going on our website soon! 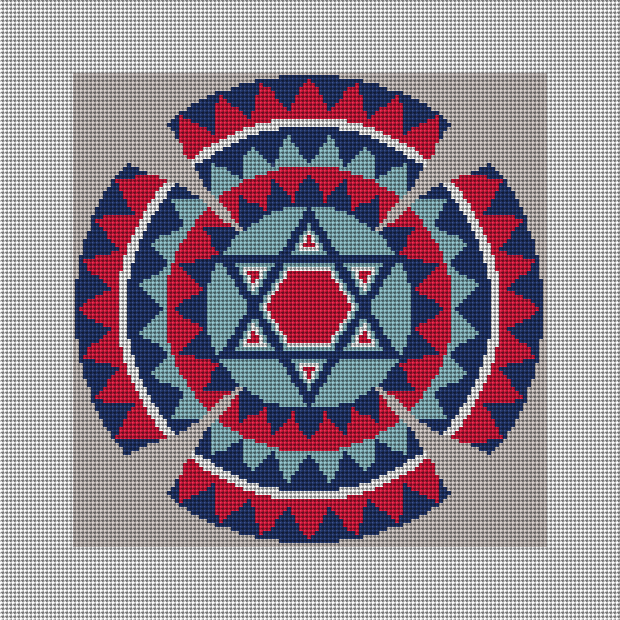 Have you been looking for the perfect yarlmulke needlepoint canvas, but not been able to find it? 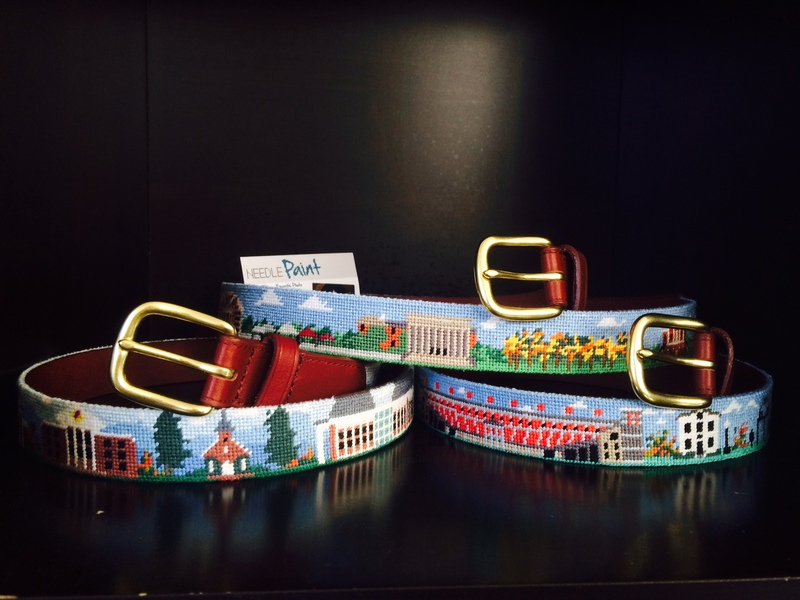 Why not have something custom designed just for you? 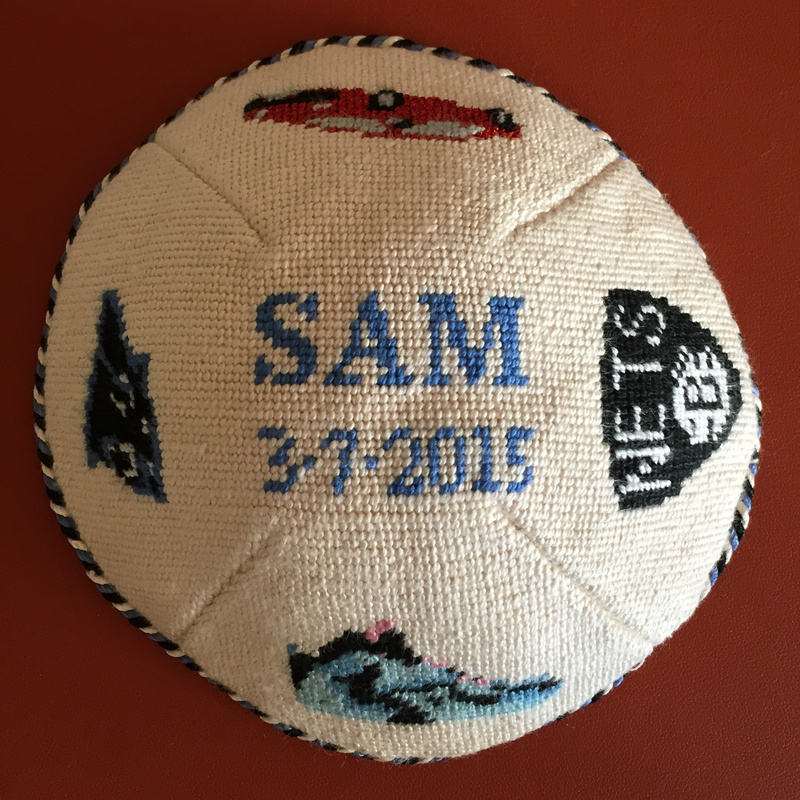 A Custom Kippah Needlepoint Canvas by NeedlePaint includes up to 4 designs and a monogram. 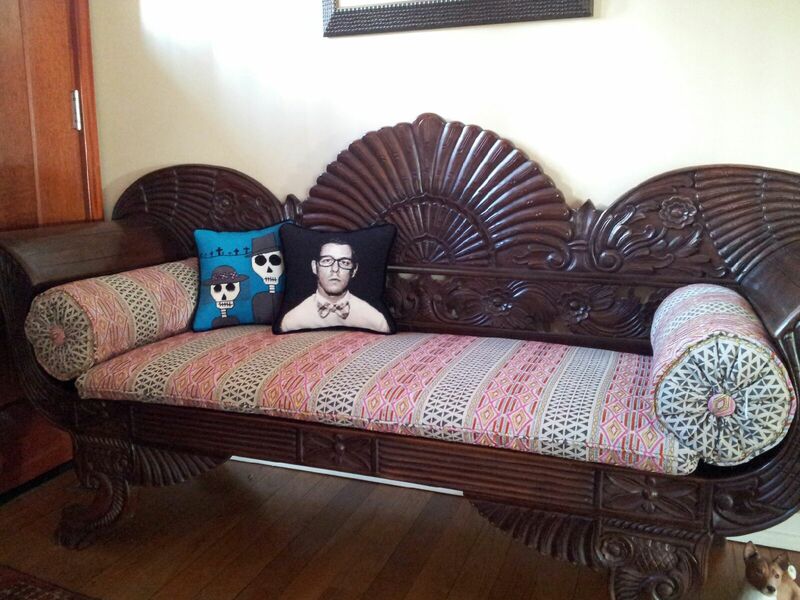 If you have something different in mind, we’d be happy to help design that, too! Email us your design ideas and we will review them. 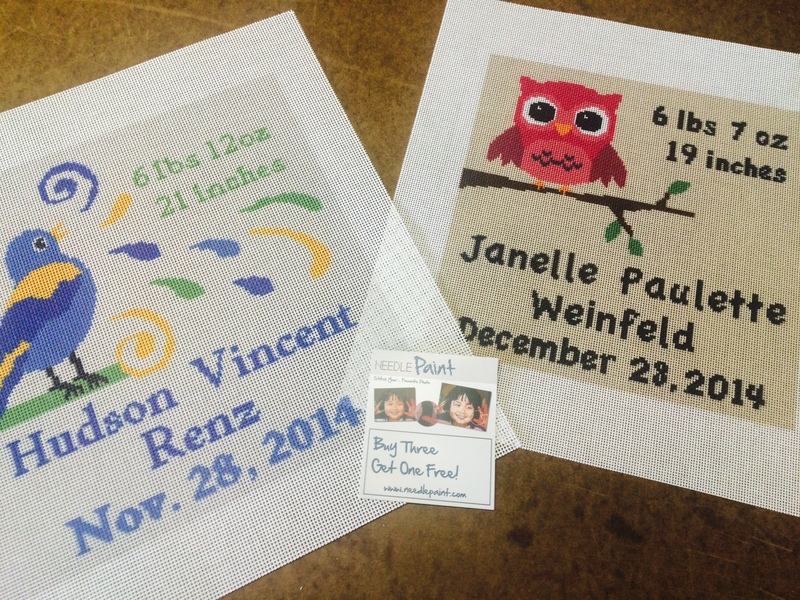 We will be in touch with any questions and will have a digital proof of your needlepoint canvas ready within 5 business days. 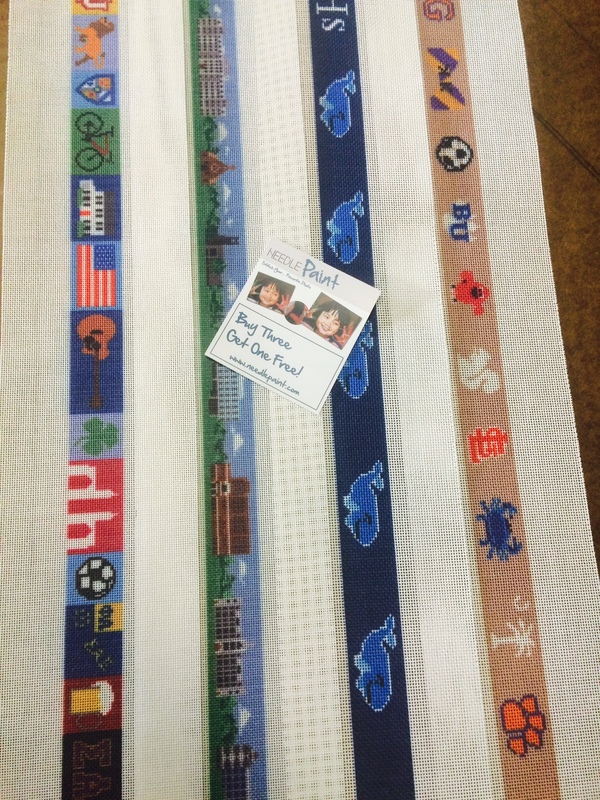 Here is a project recently finished for a grand child, nice stitching Rachael! Below is the template on our website. 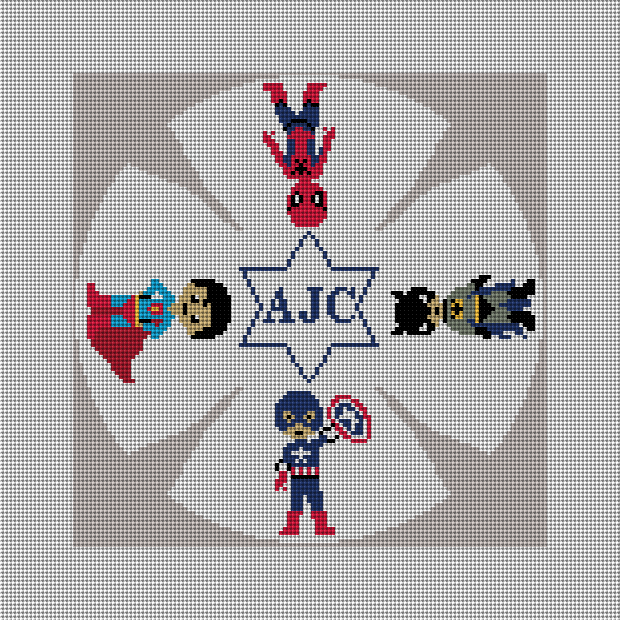 Please keep in mind that your kippah needlepoint canvas will be custom designed and a digital proof emailed to you for approval. There are two sizes, a 6.5 inch and a 7 inch. 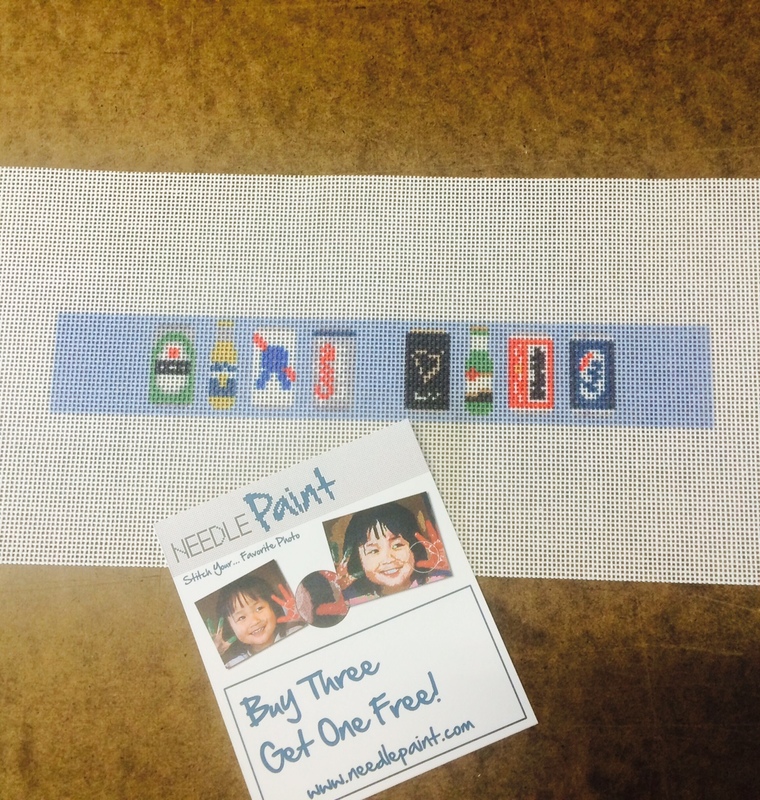 We can do designs on 14 or 18 mesh canvas. 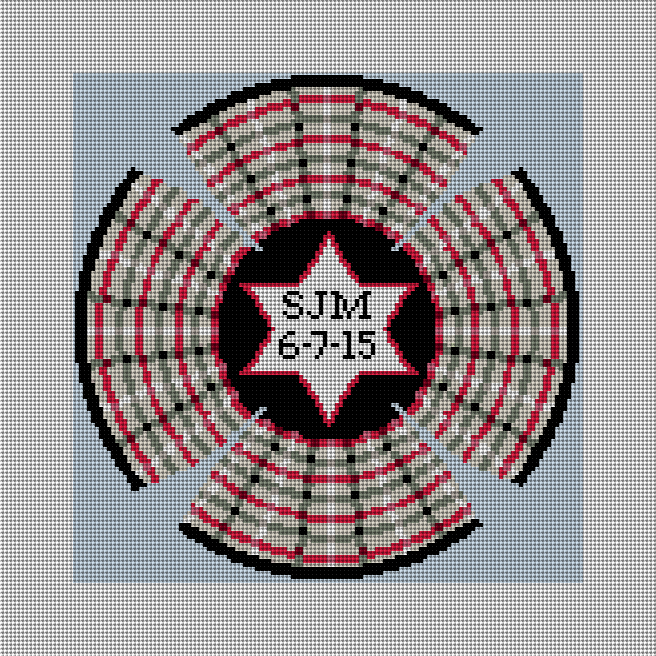 Below are the Star of David Kippah Needlepoint Kit and the Plaid Yarmulke Needlepoint Canvas. 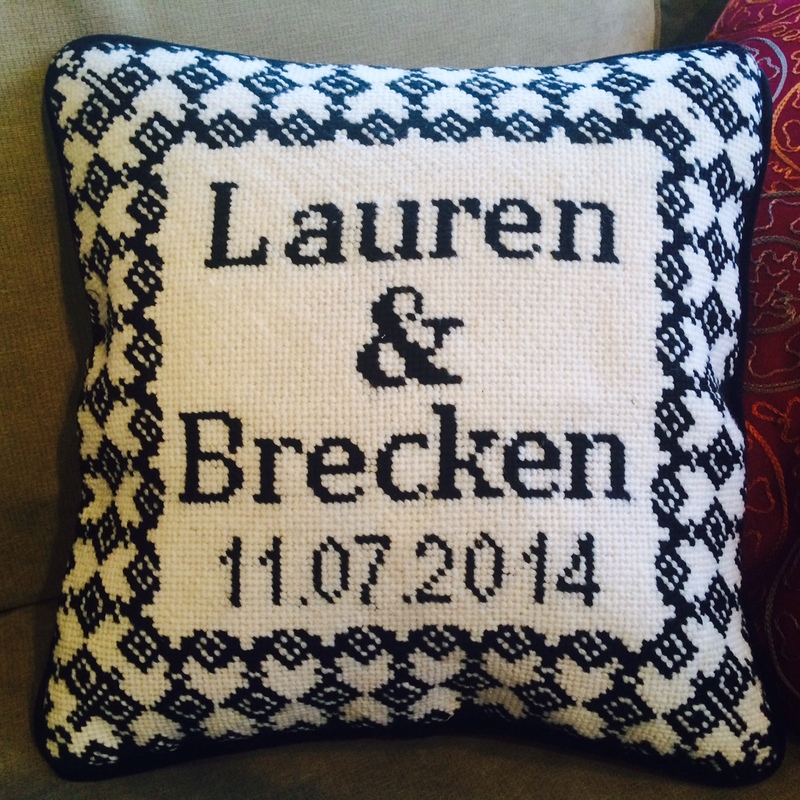 Both can per personaized with a monogram and also add a date for a special occasion. Think wedding or bar / bat mitzvah. Colors can also be customized. Happy weeekend everyone! Colorado is known as the sunshine state, and today it is 70 degress in Denver! 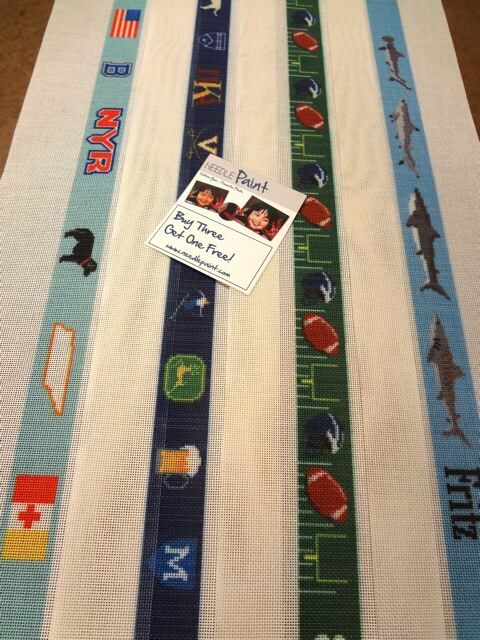 Below are some of the projects we finished yesterday including some fun Baby Needlepoint Kits, Custom Belt Needlepoint Kits, Custom Needlepoint Key FOB Kit, Cute Needlepoint Dogs, custom wedding needlepoint and a custom kippah. 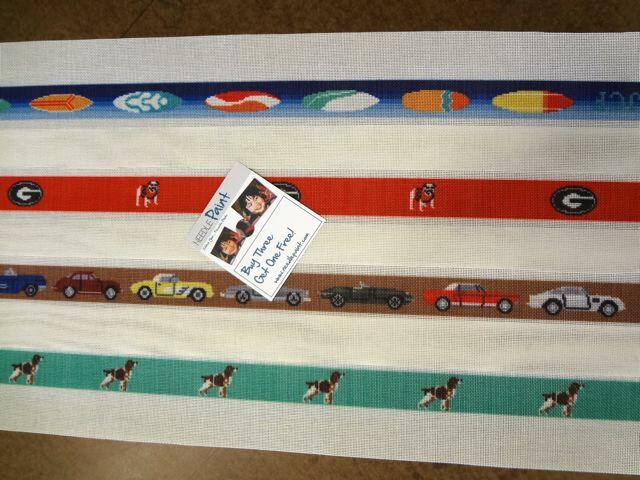 Friday Favorites – Dogs – Classic Cars and More Custom Needlepoint! We’re a little late this week with our favorite projects, but by no means short of fun new ideas! 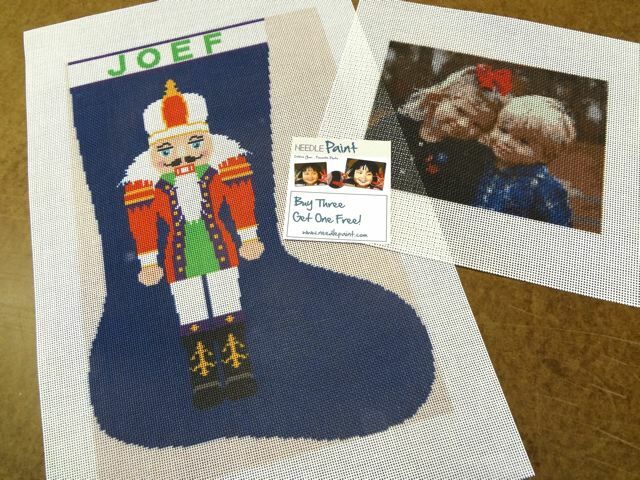 Fun Needlepoint Kits including a Vintage Life Magazine Cover.